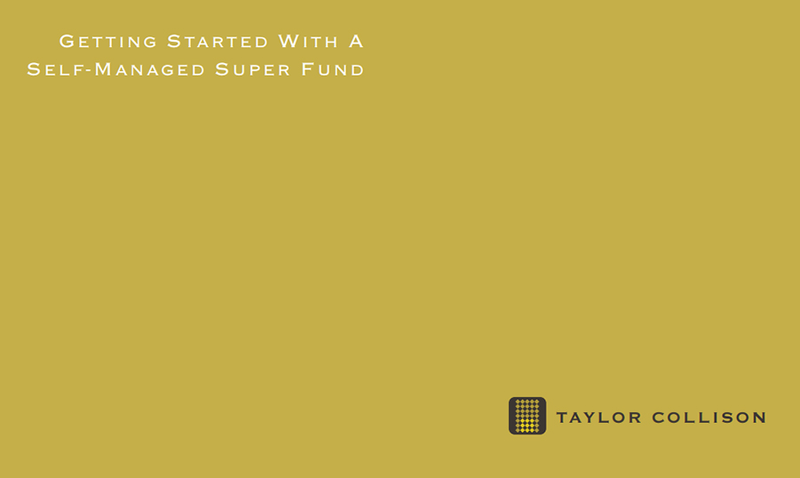 A Self-Managed Superannuation Fund (SMSF) is a type of super fund set up for those who wish to manage their own superannuation assets privately rather than be a part of a larger fund where members pool their super funds. The main two reasons for choosing a self-managed fund over a regular fund are the cost advantages and the control that members get over their own investment decisions. There are other reasons as well including estate planning, creditor protection and advantages when establishing retirement income streams. A SMSF hands control directly over to the trustees for the benefit of the members. With this control however comes great responsibility and to assist with the decision making required, most SMSF’s employ a professional investment advisor. Taylor Collison has a team of retail advisors who can assist with this decision making as well as the establishment & ongoing management of SMSF’s. Like to know more? Download our Self-Managed Super Fund information booklets below or speak directly with your Advisor.